Where travel and technology meet. We provide innovative technology solutions that deliver significant benefits to the operations, marketing and sales teams of our clients. Our flagship ‘TripTraka Enterprise’ product is being used by some of the world’s leading travel brands. 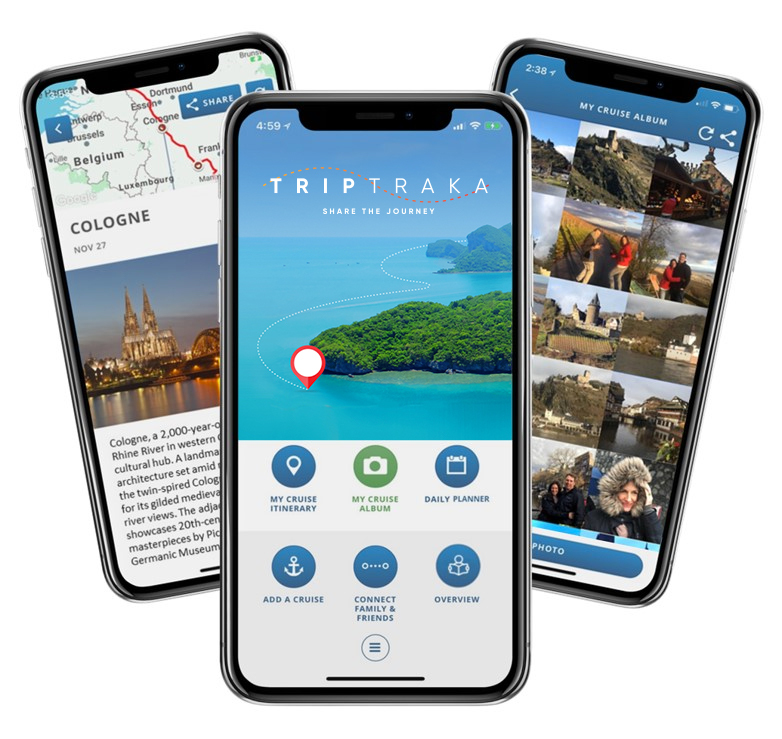 TripTraka Enterprise is a unique and powerful technology platform that you can use to deliver your own guest smartphone application, fully branded and customised to meet the specific requirements of your travel brand. The guest app and supporting ‘back office’ modules can be rapidly deployed and will deliver a range of marketing and operational benefits while also greatly enhancing your guest’s travel experience. The solution has been designed to meet the specific needs of operators working across a broad range of travel verticals including deep water cruising, river cruising, expedition and adventure cruising, as well as all escorted land tour options. Gain direct marketing leads that have historically converted at high rates. While many large travel operators have the technical and financial resources to make significant investments in the development of smartphone apps for their guests, most smaller operators do not have that luxury. The TripTraka approach closes this gap by delivering a feature rich guest travel app in a fraction of the time and at a fraction of the cost typically associated with similar implementations. The supporting Operations Portal and Content Management System (CMS) also deliver a range of additional marketing and operational efficiencies. TripTraka Enterprise is extremely flexible and can be customized and extended to meet your specific business needs. The Guest App along with all other public facing components can be totally deployed under your own branding and required ‘look and feel’.